Laura began the SEEDs program in 2009. She graduated the program and became a member of the troupe in 2010. 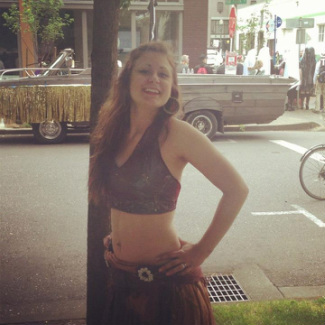 In the past few years Laura has developed not only a passion for bellydance, but also a love for working outdoors, sustainable DIY projects, painting, drawing, ceramics, and sewing her own cloths for bellydance as well as everyday wear. Laura is now a student at PCC, and an intern/teacher for the Marissa Mission, which continues to inspire her to embrace her individuality and pursue her interests. She hopes to inspire others the same way.